Eric Medlin started his own website design business (A2P Web Design) in January 2006 after working six years as a marketing manager for a financial company. 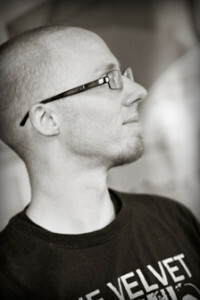 He is completely self-taught in website design and development. Over the years, Eric has gained hands-on understanding of the technology and his services continue to grow. He specializes in html and flash design through the use of Macromedia products (Dreamwweaver and Flash). He is an avid follower of world cinema and maintains several film-related websites including Ozu-san.com, A2P Cinema, In the Mood For Images, So Here We Go, Profane Angel, Hou Files, Poetry Noir, and more.